It is nice to see some innovative thought going into the world of New Era's. It seems like everyone has been pushing the 5950 just because it's a liscened product and not giving it much thought other then slapping a logo on the front and mass marketing it. 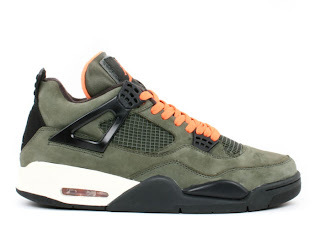 Undefeated takes note of the Jordan IV and bring that inspiration to their new 'Murdered 5950'. 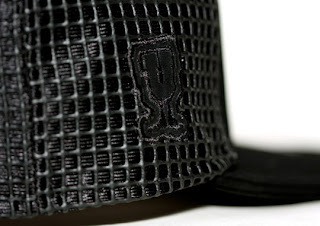 The hat will be released April 4th and comes in an all black and all white color scheme. 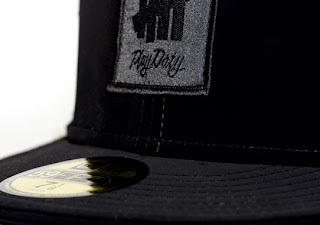 The hat features the Undefeated logo and slogan "Play Dirty". 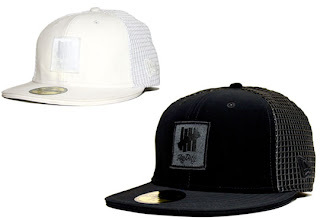 The hat would go great with the Air Jordan IV x Undefeated Retro that dropped June 23, 2005. That is if you were one of the 79 luck individuals who coped a pair. If you still want them you can head over to eBay and buy the size 12 that is listed for $7,500 USD (that's only $9,437 CDN).